Agenda summary: Radicards™ products. The 2018 NSCC. Shohei Ohtani and Yoenis Cespedes health updates. Joey Votto retirement plans. Trout/Harper 2012 Bowman Sterling Superfractor. Bowman Platinum. Jason Heyward and Fernando Martinez baseball cards. What if Dustin Hoffman played Darth Vader? Radicards™ releases another product: Fitted BGS Graded Card Bags. To view our product listings, click here. Shohei Ohtani cleared to start throwing.1)Mike Scioscia: Shohei Ohtani expected to pitch again this year. www.espn.com He continues to produce at the plate: .267/.360/.529 9 HR, 23 RBI (as of 7/24). Yoenis Cespedes (Mets) to have surgery on both his heels - out for 8-10 months.2)Yoenis Cespedes to have surgery on heels, expected to miss 8-10 months. www.espn.com He's to undergo a pair of surgeries to remove calcifications in both his heels, which has bothered him since he was a teenager and he was hoping to put the surgery off until after retirement. 2012 Bowman Sterling Dual Auto Superfractor Trout/Harper discussed in previous podcast. This Mike Trout/Bryce Harper card is currently listed BIN at $100k but sold auction style in November 2017 for just north of $5k. Bowman Platinum returns can’t compete with Chrome. 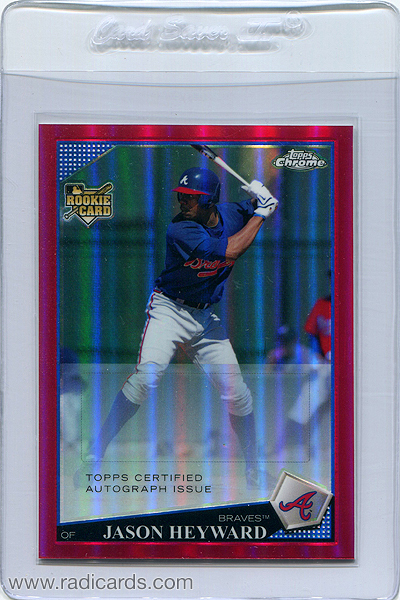 The Jason Heyward card that shouldn’t exist. To read more about this card, click here. 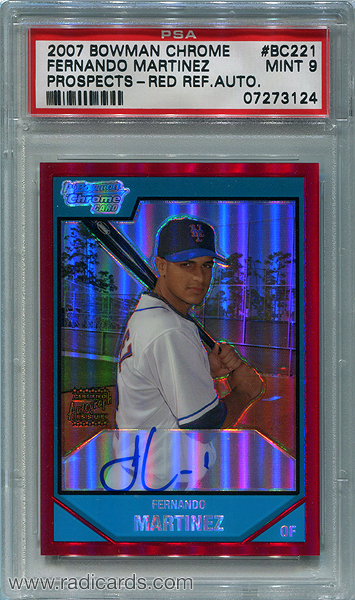 The Fernando Martinez card that was likely once worth $3k+. #152: How to Answer the Question, What’s It Worth?